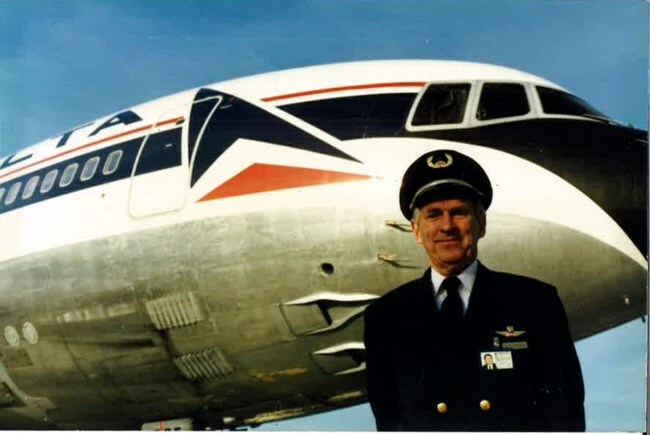 Notification with the passing of retired Delta pilot Captain Milton Parlier Murdock, age 87. Captain Murdock joined Delta Air Lines 04-30-1956 and retired in 1990, based DFW. Widowed in 2002, Captain Murdock is survived by his children and their families plus many other extended family members. Please see obituary below for service arrangements for Captain Murdock. Milton Parlier Murdock, age 87, passed away peacefully at Canton Oaks Nursing Home in Canton, Texas surrounded by his children on Monday, February 19, 2018. He was born on November 14, 1930 in Statesville, North Carolina to Thomas Hoyt and Mattie Lou (Parlier) Murdock. Milton’s great passion was flying. At 17, he hopped a bus to Texas to join the Air Force, beginning his military career at Sheppard Air Force Base. He continued his service at Carswell Air Force Base in Fort Worth, Texas where he attained the rank of Sergeant. After leaving the military, Milton became a pilot for American Flyers and then flew for Delta Airlines for 30 years where he was captain of the L-1011 for many years. He had a wonderful sense of humor and loved to share stories about his travels. On November 26, 1955, he married Neville June Mercer, whom he met at Rolling Hills Baptist Church in Fort Worth, Texas, while in a quartet there. They settled in Irving, Texas where they were happily married for 47 years until her death in 2002. Milton’s special interests and hobbies also included raising a family, fishing with his children and grandchildren, gardening with June and music, particularly singing hymns at church. He and June raised their family in a loving Christian home and taught their children by example. He was a generous giver and often helped people in need. Milton was also an avid caretaker of his home and yard and loved to do projects around the house. Some of his other favorite times were traveling with his family, visiting with his neighbors, tending to the old homestead in Statesville, North Carolina while visiting family there, and spending time with his grandchildren. He is survived by his children, daughter, Jana (Murdock) Woodard and son-in-law, Randy Woodard, of Irving, Texas and son, Jason Murdock and daughter-in-law, DeAnn (Mahaffey) Murdock of Wills Point, Texas; 5 grandchildren, Matthew Woodard, Heather (Murdock) Bender and her husband Jason Bender, Tommy Murdock and Samuel Woodard; 1 great grandchild, Colten Bender; one sister, Louise (Murdock) McIntyre and one brother, Bill Murdock; sisters-in-law, Elaine (Mercer) Chapman, Gloria (Mercer) King and Lana (Mercer) Maxey and Jeanie Murdock; brothers-in-law, Victor McIntyre, Donald King and Cecil Maxey along with a host of nieces and nephews. He was preceded in death by his wife, June (Mercer) Murdock, a son, Joel Murdock, and a brother, Henry Murdock; sisters-in-law, Wanda Mercer and Nan Mercer; brothers-in-law, Jack Mercer, Boyd Mercer and Sam Chapman. A visitation will be held at Bluebonnet Hills Funeral Home, 5725 Colleyville Blvd, Colleyville, TX 76034, on Friday, March 2nd, from 6 -8pm. A family graveside service will be held there on Saturday, March 3rd, In lieu of flowers, the family is requesting donations be made to Compassion International. Milton will be remembered for his devotion to family, a kind and giving heart, his love of flying, sense of humor and deep faith.